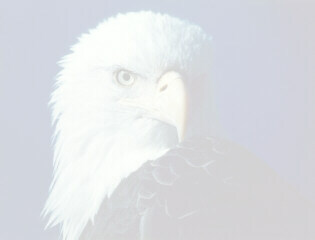 Orneveien: Norwegian for "The Eagle Way" or "The Eagle Road" (Orne=eagle, vei=way, en=the). Also, the name of a famous high mountain road descending into one of Norway's most spectacular fjords: Geirangerfjord. Lunar Eclipse - Blood Moon 15 April 2014. First CAPSA "Cruising to stop Abusing" Bicycle Ride on 22 September 2012. Second CAPSA "Cruising to stop Abusing" Bicycle Ride on 28 September 2013. Stereo Photographs 3-d anaglyph. Use red lens for left eye, cyan lens for right eye. Wallpaper for twinned 1080p widescreen monitors Set as desktop wallpaper or background and use "tile" option in Windows 7 to straddle dual monitors. Wallpaper for quad (2x2) 1080p widescreen monitors Set as desktop wallpaper or background and use "tile" option in Windows 7 to span all four monitors. Adak, Alaska. A collection of photographs from 1944 onward by many contributors. 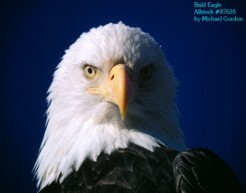 Includes eagles, historical photographs, scenery and MPEG movies. Gordon, Evenstad, Haughtvedt, Jensen family names. Information Week: A superior source of Information Technology News. The Register: Biting the Hand That Feeds IT. Critical and perceptive observations about technology. Politics and News: Links to the most popular news. Movie Filming Locations on Google Earth A select few movies whose filming locations are identified with latitude and longitude on Google Earth. Use the email address OR this contact form. Beware the spam analyzer in this program, its not quite perfect. Generally speaking it is not very friendly with non-text such as URLs or random gibberish and an HTML tag smack dab in the middle of a word is a sure sign of spam. Also, this way to discovering access information on my Cedar City Utah High School Class of 1972 (or just '72) Reunion website which at the moment is not online.